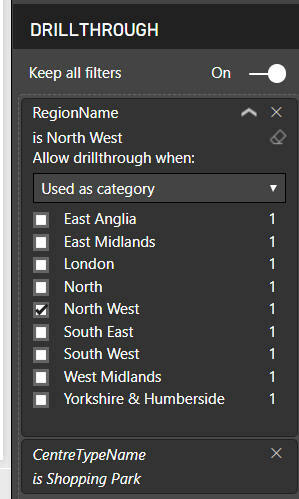 This allows you to keep current filter settings when using drill-through. To show how it works, let's first have a quick reminder of what drill-through is and does. The matrix shows total sales by region and environment. This means that I can now drill through to this page (as shown below). 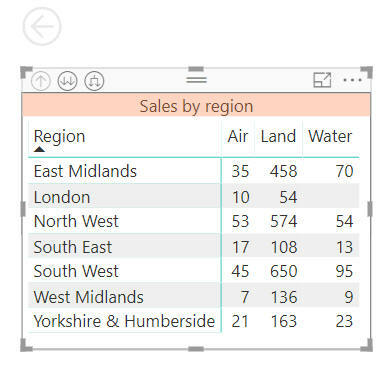 I can right-click on any region in a visual to show sales for that region on the target page. The big question is: what happens to any other filters on the source page? 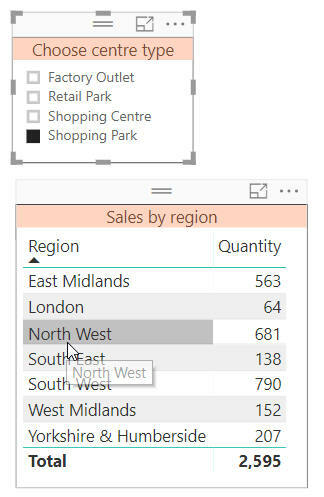 The answer prior to the May update of Power BI Desktop is that any other filters would not carry through to the target page (and this is actually still the default behaviour). 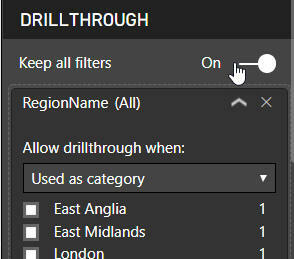 This new setting allows you to keep filters when you drill through. Note that here I've selected Shopping Park as my centre type. The question is: will the target page show sales just for shopping parks? Don't believe me? Have a look at the filters applying to the page, as shown below. The filter in italics at the bottom is a temporary filter which is carried through from the source page. I'm not quite sure which behaviour I prefer for my drill-throughs - keeping filters or ignoring them - but at least you now have a choice!